Southeastern Tree Service has been providing the Greater Atlanta area with expert Tree Care and Tree Removal Services for nearly 25 years. We are committed to the health and maintenance of all native trees and have the experience to accurately resolve your tree care needs. Additionally, our wide array of tree removal and Tree Care Services ensure that your needs are met, regardless of the size or scope of your project. Please take some time to explore our website and Contact Us for service and information. Our advanced team of tree care specialists is eager to address your requests. Call 770-463-1158 or click for superior Tree Trimming Services. 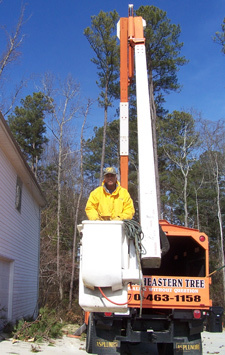 Southeastern Tree Service works throughout the Greater Atlanta Area. We are located in Palmetto and service Newnan, Fairburn, Douglasville, Carrollton, Sharpsburg, and all surrounding communities.